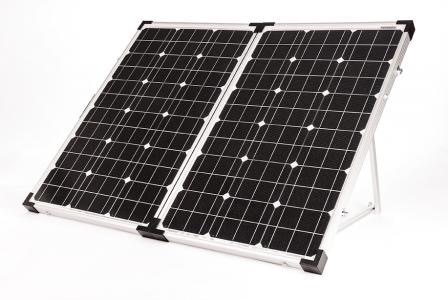 We have almost figured out how to attach our new 120 Watt portable solar panel from Go Power to our RV battery bank. I have learned a lot (maybe relearned some physics) about parallel and series wiring and a combination of the two. We have a battery bank of 4 6 volt batteries. The instructions seemed simplistic. Attach the first + of the bank to the last – of the bank. The problem is the batteries are in 2 different compartments and they are oriented in different directions. The next big complication was the distance from the positive to the negative that we had to connect was further than our cords could reach. The other complicating factor is the + connection is almost unreachable. Tomorrow it’s a trip to GilmanElectric in Brunswick, Maine to see if we can get an extension for the positive line to hook up to the almost unreachable connection. We are planning on anchoring these connections permanently as there is no way we will be trying to struggle with alligator clamps every time we want to use the panel. 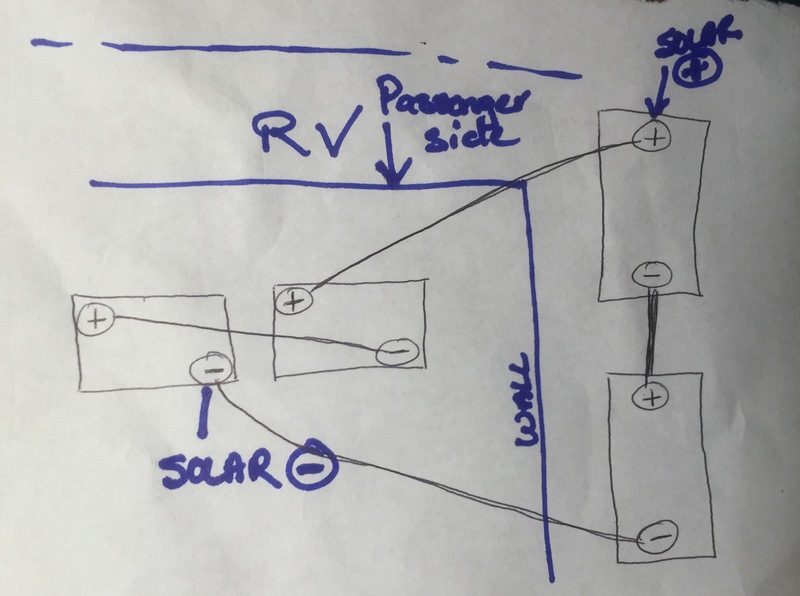 check out the rough sketch I created trying to figure out where to connect everything.